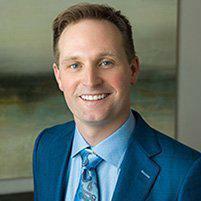 Scott Young, DDS treats the pain of temporomandibular joint (TMJ) disorders at his practice in The Woodlands, Texas. If you experience pain in your jaw, difficulty chewing, headaches, or aching facial pain, contact Dr. Young for an appointment. He is a certified neuromuscular dentistry expert who specializes in evaluating the underlying cause of your TMJ problem and determining the best way to relieve your pain for the long term. Call the office or schedule your appointment online today to learn more. What are temporomandibular joints disorders? The two temporomandibular joints in front of your ears connect your jawbone to your skull. The joints move like a hinge so you can open and close your mouth, while also sliding so your jaw can move from side to side. This combination of motions lets you do things such as chew, talk, and yawn. It also makes the temporomandibular joints some of the most complex joints in your body. People can have one or more of these conditions at the same time. For some, the symptoms improve or disappear in weeks or months. For others, TMJ turns into a long-term condition with debilitating pain. What are the symptoms and causes of TMJ? Grinding or clenching your teeth while you sleep can cause TMJ. Another possible cause is trauma such as a blow to the head. The temporomandibular joint has shock-absorbing discs at the end of each bone. If the discs deteriorate or become dislodged, it can cause TMJ. In older adults, the cause may be arthritis in the temporomandibular joint. Neuromuscular dentistry addresses the underlying issues of TMJ not only to alleviate symptoms, but also to correct jaw misalignment with noninvasive treatments. Generally, the most common treatment for TMJ is a plastic dental night guard that fits over the upper or lower teeth. The night guard stops your teeth from grinding and keeps you from clenching your jaw while you sleep. As a certified neuromuscular expert, Dr. Young makes night guards that were originally developed to prevent migraine pain, but also help to relieve TMJ. These night guards only cover your front teeth, which makes it more comfortable than full guards that cover all the teeth. It’s also just as effective as the full guard and it can be completed in one appointment. If your TMJ is severe and your jaw is misaligned to a great extent, orthodontics or dental restorations can help correct the issues permanently.  To learn how you can get relief from the symptoms of TMJ through neuromuscular dentistry, call Scott Young, DDS or schedule an appointment online today.